Stan Smith was one of those special individuals - both an outstanding pilot and an outstanding engineer - not an unusual combination for successful soaring pilots - but he was extra good at both. He was also an enduring competitor, having won the Nationals in 1933 flying a Franklin PS-2 Utility and becoming the National Champion in 1957 flying his Schweizer 1-21. He was awarded the Edward S. Evans Trophy for his Nationals win in 1933 and the Richard C. du Pont Memorial Trophy for his win in 1957. While this is an article about Stan's soaring, his engineering accomplishments are so important that they must be mentioned. He worked for Bell Aircraft with responsibility for two experimental rocket-powered airplanes. 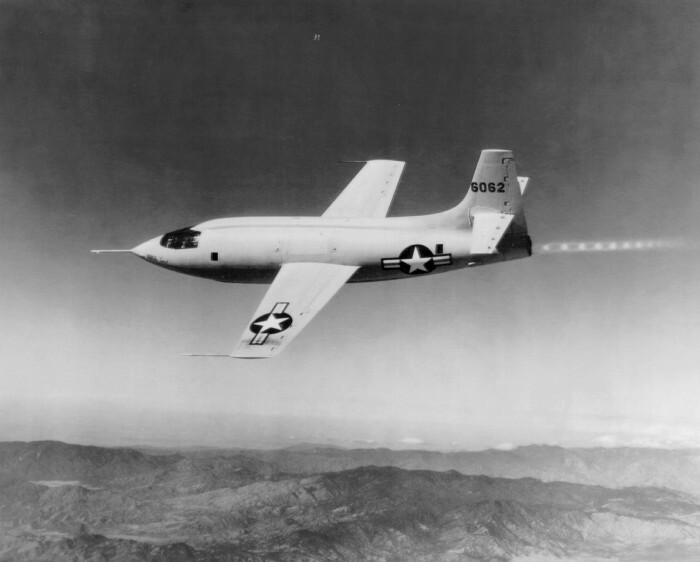 The Bell XS-1 (later designated X-1) was the first aircraft to exceed Mach One - to fly faster than the speed of sound. The pilot was Chuck Yeager. In addition, he was the Chief Engineer on the Bell XS-2 (later designated X-2) which set several important world records in the 1950s. In the early years, before two-place sailplanes were common, he built the SS-22 Golden Goose and used it to spread interest in the sport of soaring by giving rides and instruction. After World War II, he competed with the Lawrence Sailplane, a design from the 1930s. He had rebuilt it from a wreck and gave it the name Excess Too, reminiscent of his involvement with the XS-2 rocket airplane. Stan Smith was a part of the American Team in Spain in 1952. It turned out to be a learning experience for the team. They arrived too late for practice; they had no meteorologist; they lacked suitable ground transportation; the radio equipment did not work properly. Stan placed 31 out of 39 pilots after receiving a zero for the first day. Stan's main problem was with the trailer and the lack of local technology to aid in repairing it. Stan completed an unusual task in May 1954 when he made the first round trip scheduled business trip via sailplane. 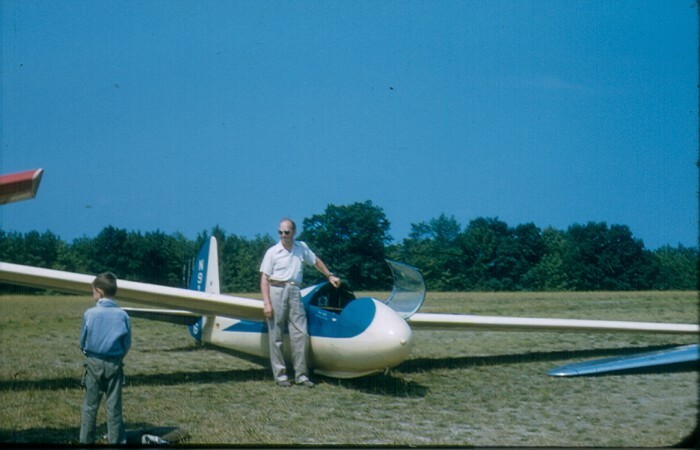 On May 22 he flew his Schweizer 1-21 from Batavia, NY to Elmira, NY where he discussed the U.S. Team's participation in the World Soaring Contest with Schweizer Aircraft. He returned on schedule to Batavia the following day. 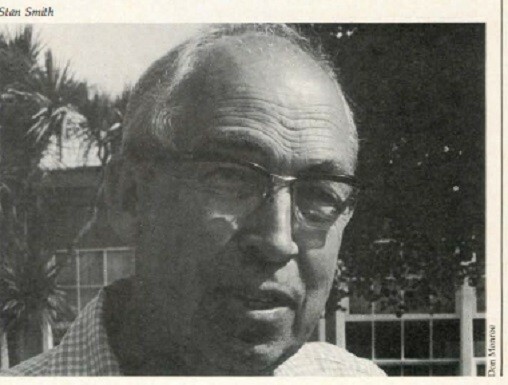 In addition to the awards mentioned above, Stan Smith earned the exceptional achievement award in 1979, the Tuntland Award in 1957 and he gave the Barnaby Lecture in 1974. He holds Silver #4 (1936), Gold #55 (1956), Diamond #364 (1957).